Here’s one of our favorites! It’s super deluxe with Susansnap Smashies pie crust! 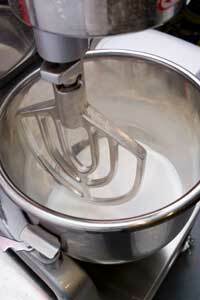 In medium sauce pan, stir sugar, cornstarch, and salt; add milk and egg yolks, stir until blended. Cook over medium heat, stirring constantly, until mixture thickens, and boils; cook one minute. Remove from heat add vanilla and cool slightly. Arrange bananas in Susansnaps Smashies pie crust. Pour custard over. Whip cream at medium speed until soft peaks form. Cover pie filling with whipped cream. Top with toasted coconut. Spread coconut in a shallow baking pan. Bake in 350 degree oven for 5-10 minutes or until lightly brown. Watch carefully… stirring once or twice! Enjoy this sensational Susansnaps Smashies Banana Crème Pie Deluxe!! !